A major impediment to business success is the notion that there shouldn’t be any conflict along the way. Businesses are natural creators of problems and conflict. Whenever you get a group of smart, talented, and passionate people together, there is going to be a certain degree of conflict. As much as you might like to avoid it, conflict is an unavoidable reality of the business world. In fact, conflict is a reality in almost all organizations. From boardrooms to classrooms conflict is lurking every day, whether you want to see it or not. The ability to identify it, understand it, and end it will make you a better, more trusted, and respected leader. The inability to do so will render you an impotent and ineffective leader. We’ve all seen otherwise capable people fail under the leadership spotlight because they constantly avoided conflict. Ducking conflict avoids the personal conversations and difficult decisions that can easily become messy, emotional, and awkward. Ignoring conflict allows problems to fester to the point that they can bring an organization to its knees. Because the source of the conflict isn’t addressed, it gets worse. So even if the issues are eventually resolved, the trauma caused to individuals and to the organization is much greater than if the real problem had been dealt with in the first place. There is a simple truth about conflict: It almost never resolves itself. The desire to avoid conflict is human nature, but it represents one of the most significant obstacles to success for leaders and businesses. Avoiding conflict slows everything down and leads to bad decisions and unresolved problems. When conflict isn’t addressed, finger pointing, mistrust, misrepresentations, manipulations, misinterpretations, assumptions, accusations, frustration, bureaucracy, and a CYA mentality fill the void. An overly polite veneer often hides an organization consumed with internal politics, phoniness, gossip, and backstabbing. In organizational cultures where resolving conflict is the exception, unnecessary meetings, second-guessing, individual agendas, information hoarding, and high turnover are the rule. Avoiding conflict exacts a heavy price: The things that need to be heard never are. It would be nice to think you can build a business and never face situations where there is disagreement and dissent – but that’s incredibly naïve. 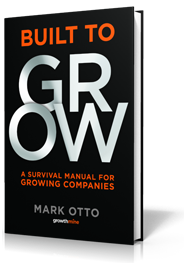 All lasting relationships – business and personal – need productive conflict in order to grow. 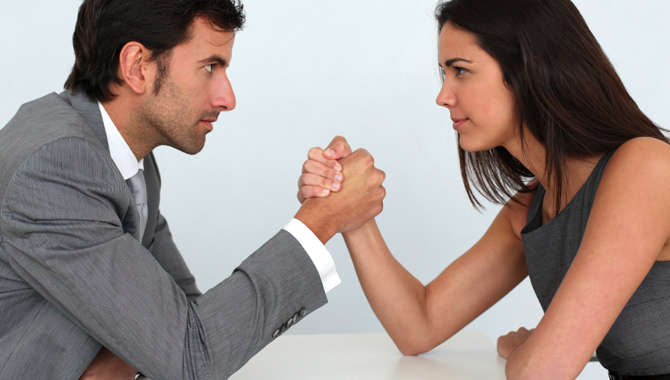 Unfortunately, conflict is considered taboo in many places, particularly in business. And the more stagnant a business is, the more likely you are to find leaders tying to avoid the kind of passionate debates that are essential to any great business. Leaders that engage in productive conflict understand that the purpose is to arrive at the best possible solution, in the shortest amount of time. They discuss and resolve issues thoroughly, and even though their debates may be heated, there are no ill feelings or damage to any relationship. This allows them to confidently move on to tackle the next important issue. However, to an outsider, the passion and emotion that occur in healthy debates could easily appear to be unhealthy arguments. Trust lies at the heart of a high-performing team. Without it, getting things done is almost impossible. Trust exists when people feel that they can be genuinely open and honest with one another. With no trust, conflict is all pain and no gain. Trust is the confidence between colleagues that everyone’s intentions are good, and there is no reason to be defensive or cautious. When trust is missing, people won’t engage in an unfiltered and passionate debate of ideas – which is essential to dealing with conflict. There is a tremendous contrast between leaders that promote and engage conflict and those that fear and avoid it. Walk into any meeting, in any company, in any industry and it won’t take long to recognize the difference. Leaders and teams that avoid conflict have boring meetings because no one wants to “rock the boat.” Nothing ever gets done because the issues that are critical to success are ignored. Leaders that don’t value healthy debate never tap into the opinions and perspectives of the people on their teams. Countless hours are wasted posturing and protecting self-interests. In these organizations, politics and personal attacks flourish. On the other hand, leaders that encourage conflict have lively and constructive meetings. Critical issues are put on the table for debate, and big problems are solved quickly. The opinions and ideas of all team members are valued and utilized. Thus, internal politics are minimal. Acknowledge it. The first step towards dealing with conflict is acknowledging that it is productive and that many leaders have an inclination to avoid it. As long as a leader or anyone on his team believes that conflict is unnecessary, it is unlikely that any meaningful debate will take place. Find it. Good leaders are constantly looking for conflict. They are willing to put sensitive issues on the table and force everyone involved to deal with them. Encourage it. Productive debate allows tensions to surface and then resolves them by expressing relevant points of view. People are naturally uncomfortable with conflict, and they need to constantly be reminded that it is absolutely necessary. Open and honest debate gets more people involved in the business, and when you get more meaningful contributions you get better results. Resolve it. Effective conflict resolution solves problems in a respectful, efficient, and impactful way. It’s real conversations. Good leaders create the openness that allows people to put their views on the table and explore different, even uncomfortable, perspectives. When an organization is open, problems don’t go unresolved. And ideas and solutions are debated, improved, and acted upon. Model it. Don’t shy away from conflict. Deal with the problems that must be dealt with. Say what needs to be said and give everyone around you permission to do the same. A leader must never avoid conflict when it is necessary and productive. Once you develop the reputation for addressing conflict head on, others will follow. Conflict can be awkward, messy, and uncomfortable. But ignoring conflict is far more debilitating to an organization than the temporary discomfort that may come with candid conversations. How well do you deal with conflict? Extremely valuable advice! IMHO, how leaders and organizations deal with conflict may be one of the most important characteristics behind whether a company flourishes or flounders. Most people find it easy to be nice (at least on the surface). Conflict exposes what people are really made of. In my experience, passive aggressive behavior is one of the most destructive approaches to handling conflict, and it can spread thru an organization like a cancer. When people go around harboring resentment and anger, but don’t deal with it openly, it breeds a culture of resentment and distrust. Your advice is spot on for identifying and dealing with passive aggression. I used to work with a CEO who liked to tell his leaders, “With transparency comes autonomy.” In other words, leaders are trusted and more effective when the organization clearly knows where they’re coming from and where they’re headed. Good conflict resolution is all about transparency. Lack of candor is a serious problem for many organizations. If no one ever speaks up, nothing ever changes. These missing conversations are costly – in terms of morale, engagement, and performance. What gets talked about in an organization and how it gets talked about determines what will happen. Or won’t happen. You’re so right, passive aggressive behavior is one of the biggest killers in business. The absence of candor creeps into every aspect of business. You make a great point about conflict resolution being all about transparency. Unfortunately, in the minds of so many leaders, it’s easier not to be a straight shooter.